The model Comfort H26 is an elegant traditional-style mattress with an artisan finish; it has an innovative layer of pocket micro-springs that accommodates the body gently and gradually. 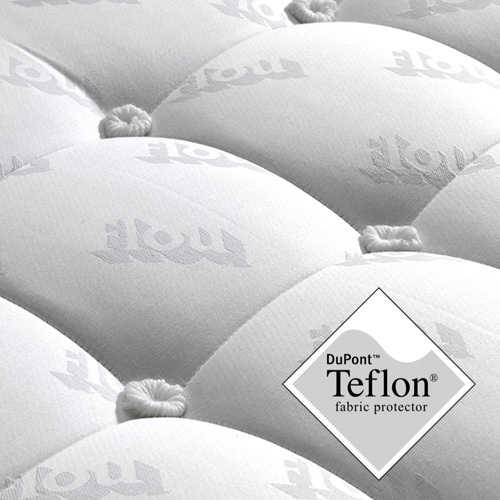 The mattress cover treated with Teflon® is stain-resistant and water-repellent. The external fabric is 100% natural Jacquard. 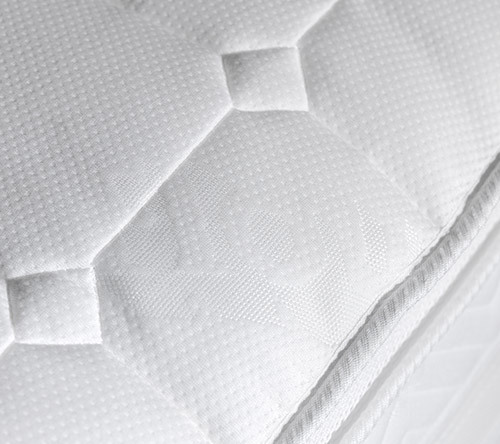 Master craftsmen have quilted the surface layer of the mattress to keep its filling firmly in place and extend its life. The model Comfort H22 is an elegant traditional-style mattress crafted with an artisan finish; it is complete with pocket spring technology arranged in differentiated zones. 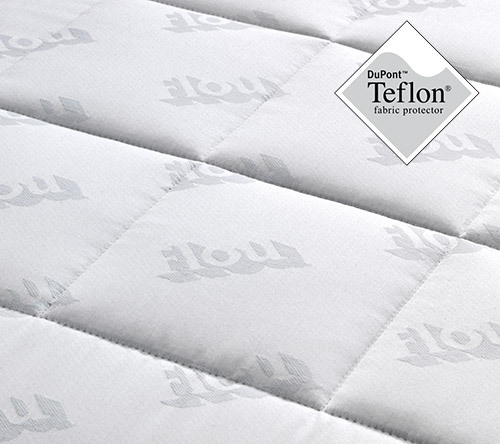 The new collection Flou Adaptive Top Sense has anatomical comfort that can be personalized thanks to the addition of goose down or anti-allergenic fibers. 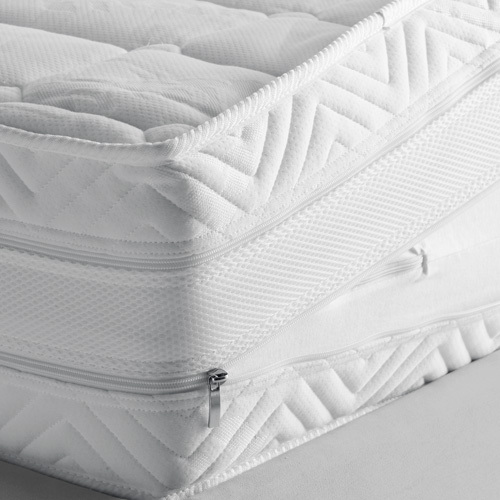 Complete with an innovative 6D system of advanced ventilation, thanks to its ‘No Turn’ technology, the mattress does not need to be turned periodically. 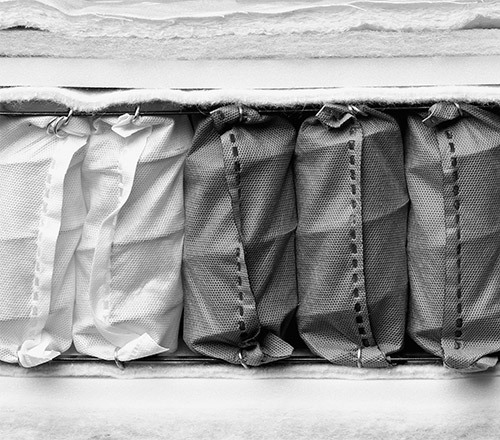 The cover has been treated with Bayscent® Neutralizer, a special technology applied to the external layer to eliminate nasty odors in a selective way, and preserve the properties of the fabric itself (appearance, softness, transpiration). Available filled with Total Body, wool or cotton, the cover of the Adaptive Top Sense mattresses can be easily removed, thanks to the zip fastener. To increase the cozy beckoning welcome, there is a removable quilt inside the cover and this can be supplied in anti-allergenic fiber or down. 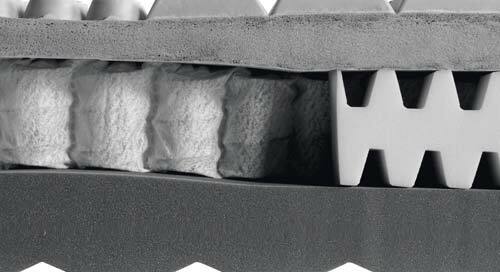 The 6D sides: this is a system of advanced ventilation that maximizes the transpiration properties of the mattress. 1st layer: An ultra-transpiring layer in memory form. 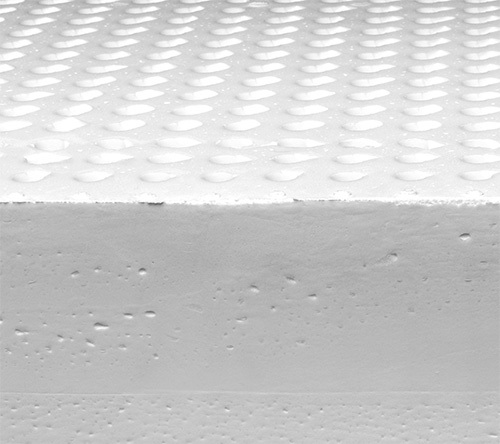 The key features are its high transpiration capacity (500 times greater than a normal layer of viscoelastic substance) and the perfect and constant air circulation possible thanks to its innovative honeycomb cell structure. 2nd layer: Slow return viscoelastic substance. This consents better distribution of pressure exerted by the body, increasing the microcirculation particularly in the famously critical contact points (the back, the heels and the elbows). 3rd layer: 3-zone ergonomic block. Its extreme ductilityand the elasticity provide the ideal support for very different body shapes and sizes. 4th layer: 5-zone ergonomic block. 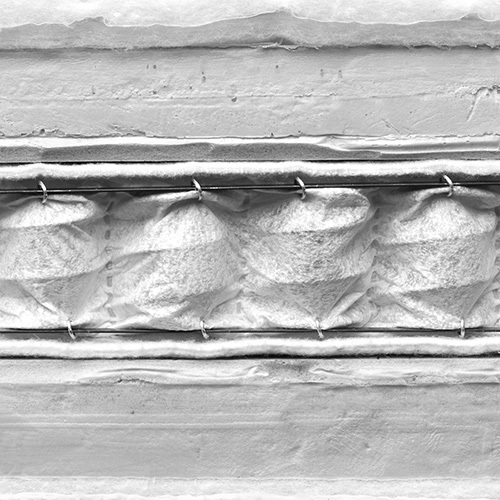 When combined with the previous, this layer provides the body with gradual and progressive support, thanks also to the presence of longitudinal slits. 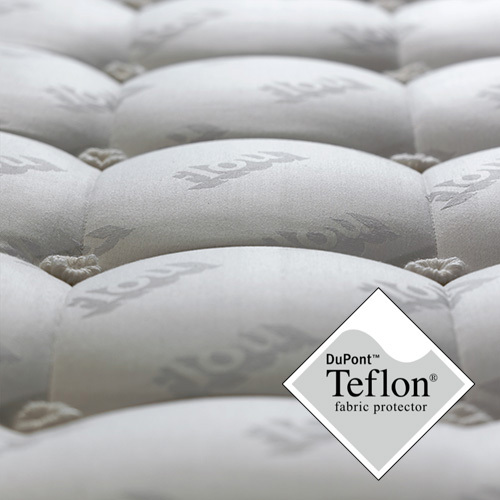 Ergonomics, technology and precious materials are the important features of this mattress that guarantee excellent performance and a superior degree of comfort thanks to the ‘No Turn’ technology, that eliminates the need to turn the mattress periodically. 3rd layer: 3-zone ergonomic block. Its extreme ductility and the elasticity provide the ideal support for very different body shapes and sizes. The interesting feature of this new technological mattress is that both sides can be used depending on whether a more rigid or softer support is preferred. In the central part, there is an ergonomic block with independent springs, while the upper and lower parts have different densities and offer the possibility of selecting the preferred type of comfort. 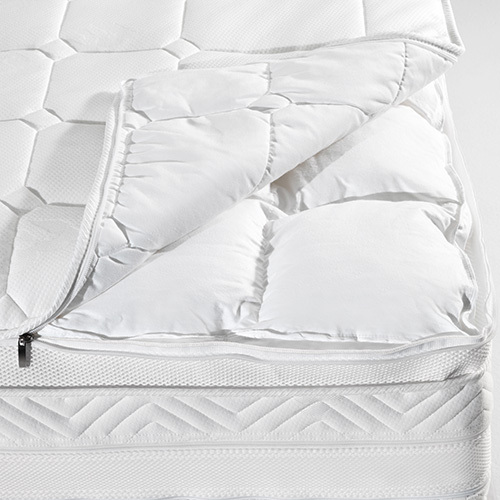 The zip fastener around the mattress cover allows the cover to be removed for washing. The Jacquard material of the cover has been treated with Sanitized Actifresh that keeps it fresher for longer and guarantees better hygiene. 1st/3rd layers: layers of Memoform with different densities, one more rigid and the other softer for a more comfortable support. 2nd layer: pocket springs (H. 9 cm) to guarantee correct posture and simultaneously facilitating air circulation. All of the values that characterize a top-quality product are evident in the new collection, Top Sense. This new form of technology is based on a central ergonomic block with independent springs, an upper part and a lower part with a different type of support, to allow people to select their preference – more rigid support or greater softness. 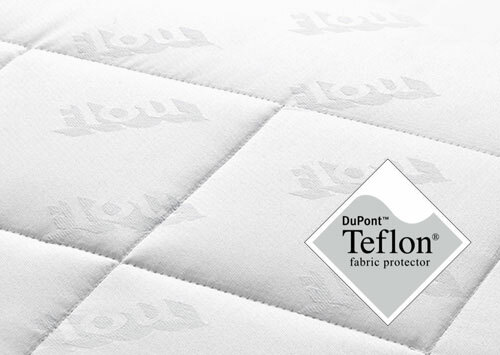 Available with Total Body, wool or cotton padding, the cover of the Memoform Dual Comfort Top Sense mattresses can be easily removed for washing, thanks to the zip fastener. 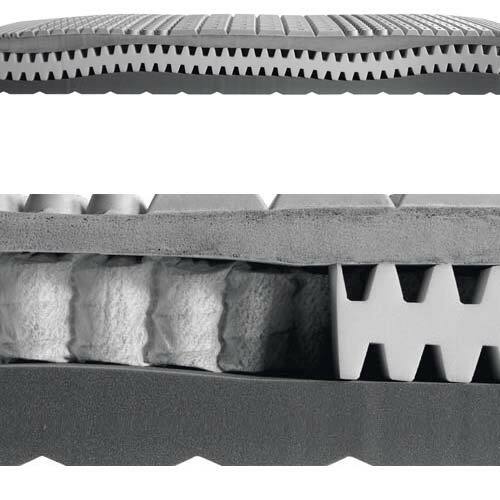 The Memoform model is a traditional-style range of mattresses, potentiated by two technological developments of pocket springs and viscoelastic to provide unique and excellent performance. 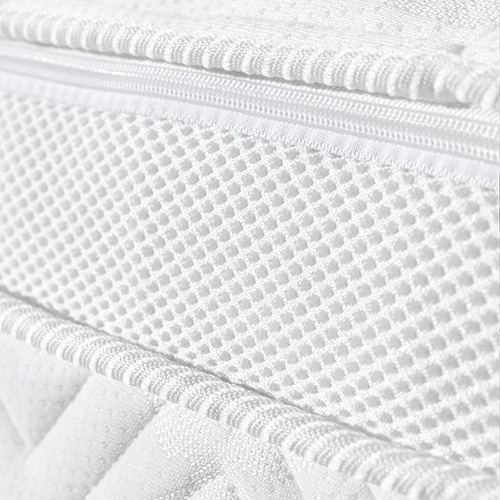 The mattress can be supplied in two thicknesses - H22 and H26. 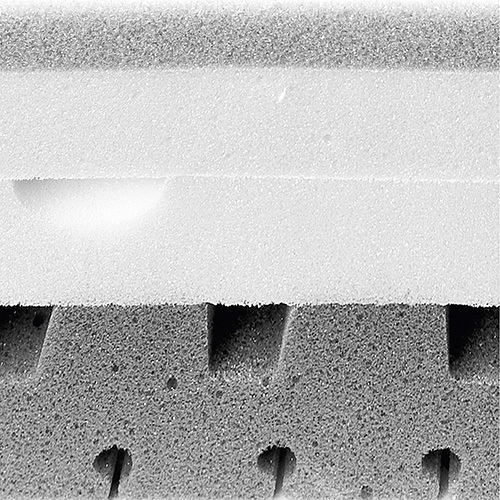 1st-3rd layer: Slow return viscoelastic substance. These layers consent better distribution of pressure exerted by the body increasing the microcirculation particularly in the famously critical contact points (the back, the heels and the elbows). They allow the mattress to be turned to exploit the personalized choice of filling. 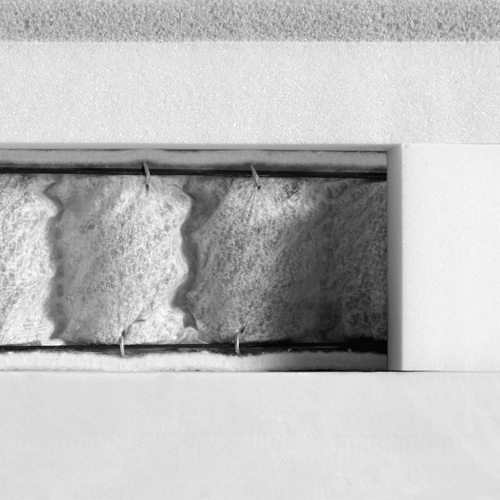 2nd layer: Low pocket springs work in synergy with the viscoelastic substance to facilitate the sleeping person’s movements during the night and improve the efficiency of the dispersion of damp and perspiration and the microclimate as a result. All of the values that characterize a quality product can be identified in the new collection Memoform Top Sense. These represent the synthesis of a research direction that aims to reveal new sensations associated with comfort, with the ultimate goal of absolute wellness. Available filled with Total Body, wool or cotton, the cover of the Memoform Top Sense mattresses can be easily removed for cleaning and repairs, thanks to the zip fastener. To increase the cozy beckoning welcome, there is a removable quilt inside the cover and this can be supplied in anti-allergenic fiber or down. 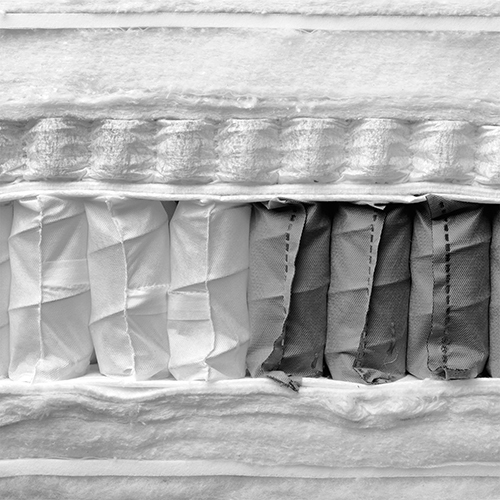 The 6D sides: this is a system of advanced ventilation that maximizes the transpiration properties of the mattress. 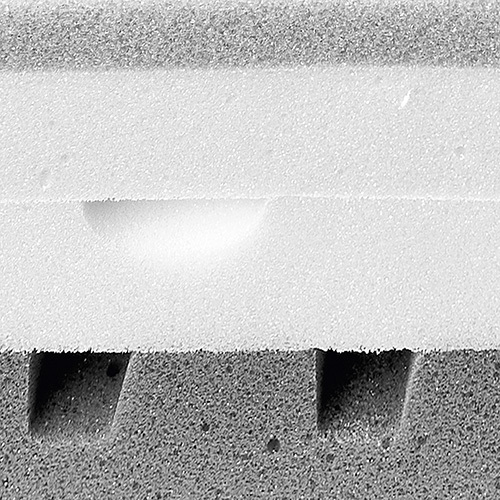 1st-3rd layer: Slow return viscoelastic substance. This consents a better distribution of pressure exerted by the body increasing the microcirculation particularly in the famously critical contact points (the back, the heels and the elbows). 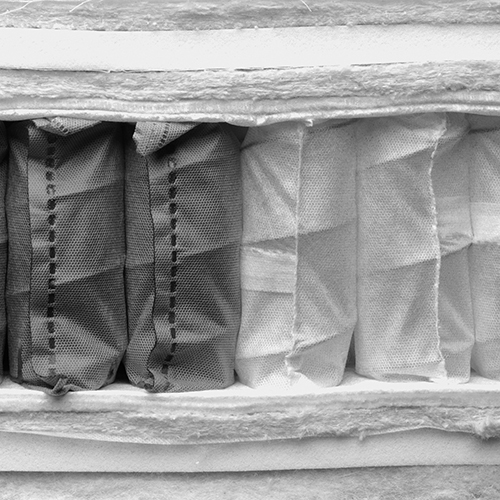 2nd layer: Low pocket springs work in synergy with the viscoelastic substance to facilitate the sleepin person’s movements during the night and improving the efficiency of the dispersion of damp and perspiration, and the microclimate as a result. 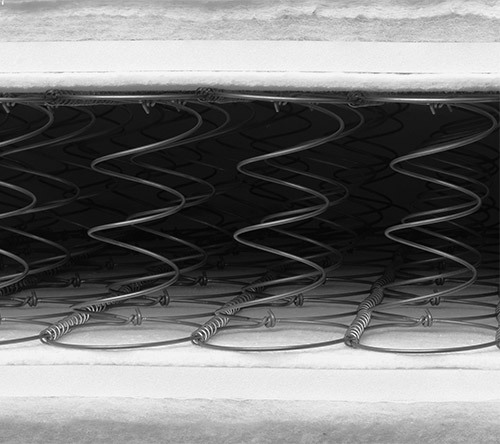 Pocket spring mattress 3 areas, a traditional-style mattress with 3-zone independent springs, available in a soft and medium version. Isolated springs (754 springs in the 170x200 bed size). The arrangement of this mattress adapts perfectly to the various positions of the body. 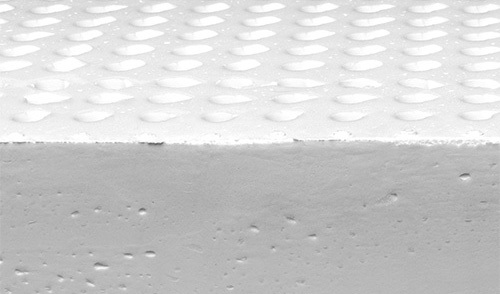 Base layer padded with high density non-deformable expanded polyurethane. Available with padding in white cotton, in white wool or with total body filling, to be combined. 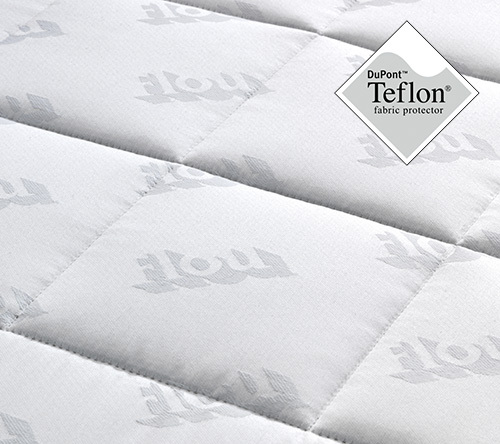 The mattress cover is complete with handles, treated with Teflon®. 2nd layer: Individual pocket springs to better follow the movements of each person without disturbing the sleep of the partner sharing the bed. All of the values that characterize a quality product can be identified in the new collection Top Sense. These represent the synthesis of research that aims to reveal new sensations associated with comfort, with the ultimate goal of absolute wellness. 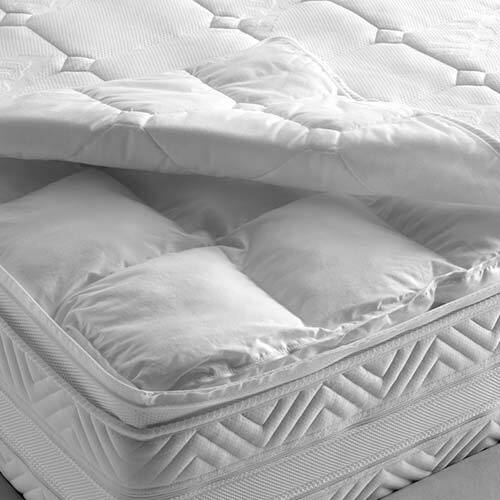 Available fi lled with Total Body, wool or cotton, the cover of the Pocket Spring Top Sense mattresses can be easily removed for cleaning, thanks to the zip fastener. 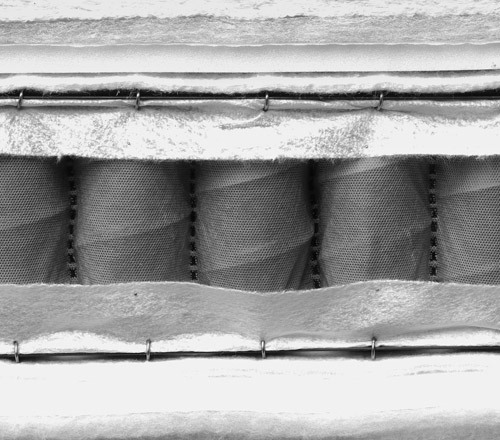 The 6D layer: this is a system of advanced ventilation that maximizes the transpiration properties of the mattress. 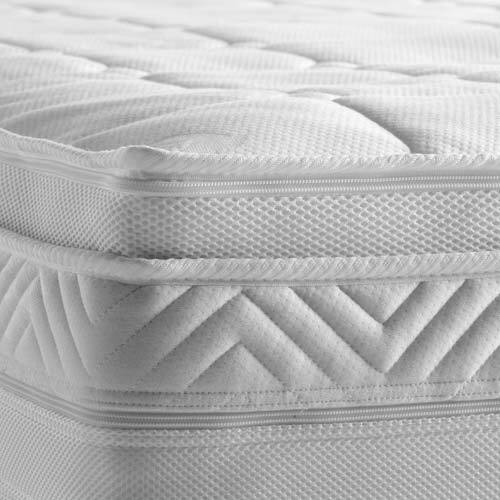 This mattress was specifically developed to follow the movements of the manually - or electrically-adjusted bed-base. 448 isolated springs for the single bed (85x200). 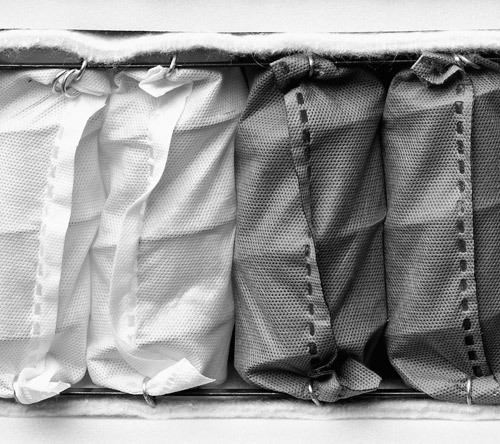 Available with padding in white cotton, in white wool or with total body filling, to be combined. 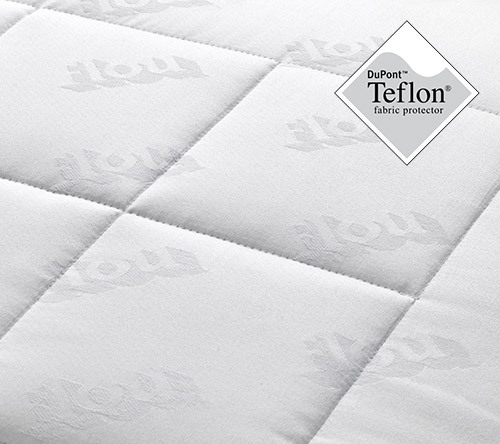 The mattress cover is complete with handles, treated with Teflon®. Individual pocket springs to better follow the movements of each person without disturbing the sleep of the partner sharing the bed. 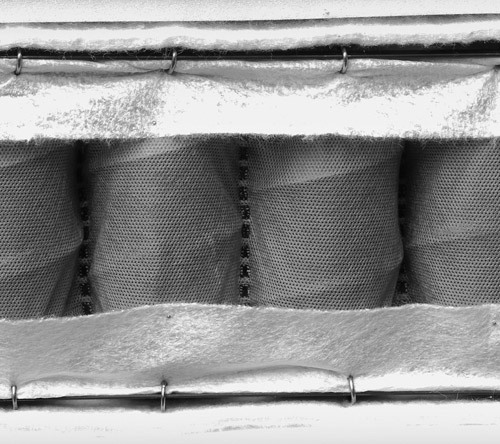 Central metal thread to allow the mattress movement. All of the values that characterize a quality product can be identified in the new collection Sprung Top Sense. These represent the synthesis of research that aims to reveal new sensations associated with comfort, with the ultimate goal of absolute wellness. 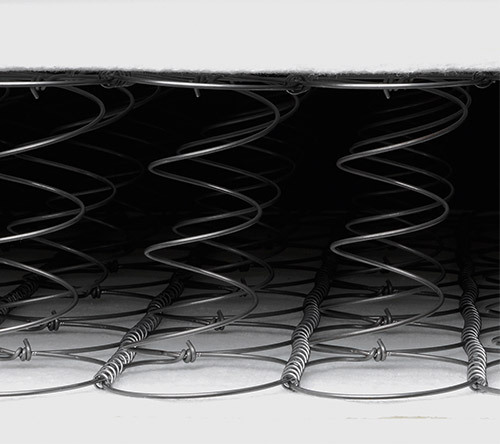 Available filled with Total Body, wool or cotton, the cover of the Springs Top Sense mattresses can be easily removed for cleaning, thanks to the zip fastener. 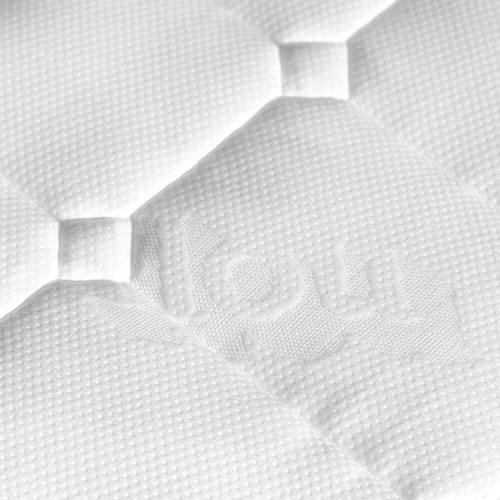 A traditional-style mattress complete with Bonnel technology, soft version. The external fabric is Jacquard with Soften Dimo padding. 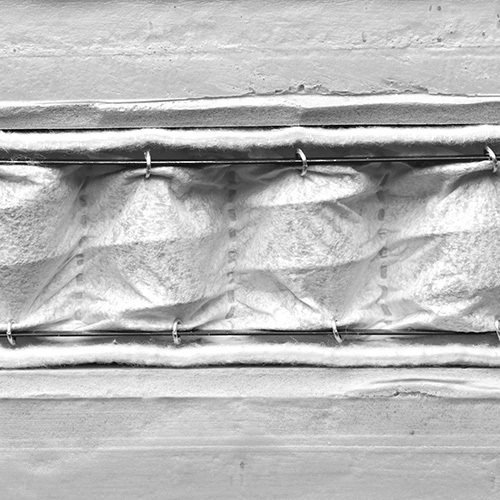 A traditional-style mattress complete with Bonnel technology. Traditional style mattress complete with a layer of 100% latex. Natural double honeycomb-cell latex to improve transpiration. All of the values that characterize a quality product can be identified in the new collection Latex Top Sense. These represent the synthesis of research that aims to reveal new sensations associated with comfort, with the ultimate goal of absolute wellness. Available fi lled with Total Body, wool or cotton, the cover of the Latex Top Sense mattresses can be easily removed for cleaning, thanks to the zip fastener. 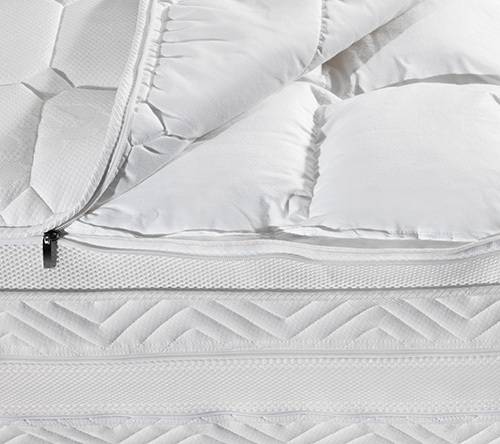 To increase the cozy beckoning welcome, there is a removable quilt inside the cover and this can be supplied in anti-allergenic fi ber or down. 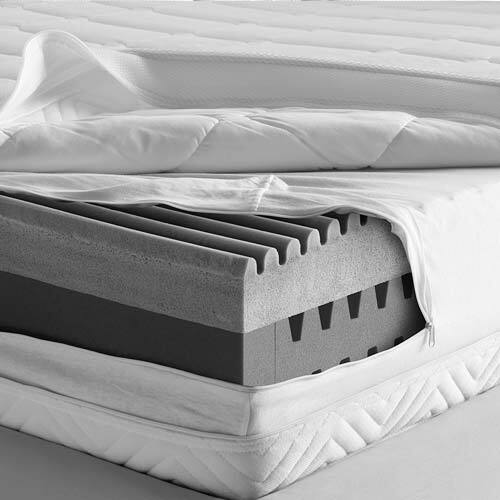 Wavecare is ideal for people who are used to sleeping on a sprung mattress and who desire greater comfort and a constant temperature when resting. 1st layer: ergonomic block in heat-regulating 7-zone PCM viscoelastic, molded with an undulated anatomical pattern. 2nd layer: independent springs (H. 9 cm) are positioned in an anatomical position, and exert pressure to relax the vertebra. 3rd layer: a negative mirror-image anatomical design of layer 1, that perfectly follows the body shape. Perimeter edge: special innovative anatomical encapsulation. Wavecare is the end-point of the most advanced research into the ergonomic features of rest and relaxation. Consisting of three layers with different functions, Wavecare has been studied for everyone who wishes to improve their posture and enjoy a constant temperature when resting. 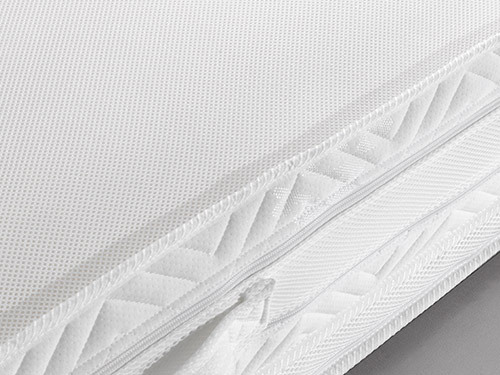 Available with Total Body, wool or cotton padding, the cover of the Wavecare Top Sense mattresses can be easily removed for washing, thanks to the zip fastener. The protective mattress cover and the protective pillow cover are produced in transpiring jersey fabric, treated with odor-busting Bayscent® Neutralizer – the selective technology against the bad odors. It selectively eliminates the odors while preserving the original characteristics of the fi bers (appearance, ‘softness’ and transpiration). Shrink-proof protective mattress cover. A traditional-style product in 100% shrink-proof cotton, machine washable. Toweling mattress cover, 100% elasticated cotton toweling. Machine washable.